Yesterday Mara had her kick off for the holiday early. 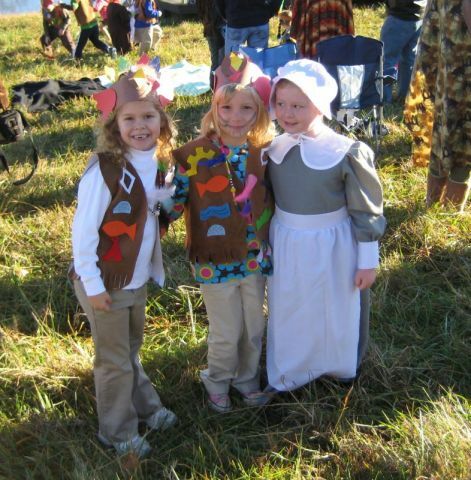 It was Caldwell Academy Thanksgiving in the Meadow. They have a family that allows the school to do an event on their farm, Apple Farm (the family name). Everyone was welcome to dress up for the occasion. Some had simple costumes (like me) and others looked pretty authentic. 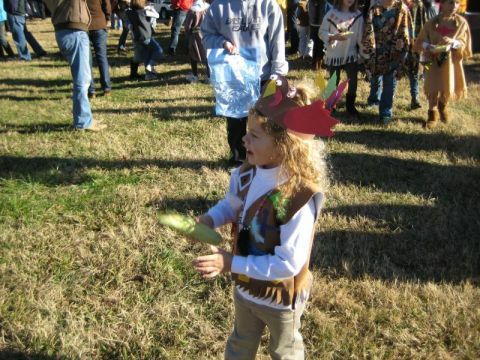 Mara wore the costume that she made in her class. 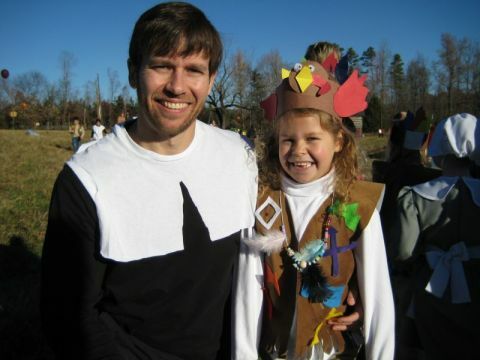 Pilgrims and Indians in perfect harmony. There is a nice big pond in the back in one of the fields and they had a stage setup in front of it. They held a little assembly and fellowship to start the morning, and then it was off to fun and games for the kids. The Grammar school had some simple games that you will see Mara participated in. The Dialectic and Rhetoric schools went across the pond to experience bow and arrow and a little rifle shooting. Yes, they shot guns. We also went on a hay ride to wrap up the event. Lots of fun! 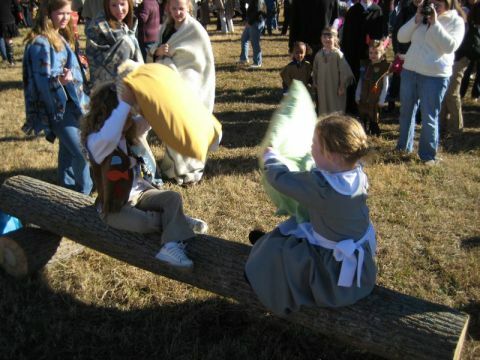 Everyone loves a pillow fight. There are more pictures in the album if you click any of the pics. These pictures of the Native Americans and Pilgrams are great reminders of many things we should be thankful for centuries later. Myra you make a beautiful Indian princess; and Luke, I hope you have buckles on your shoes! I assume Steph was the photographer and Campbell was the director! Great Post!